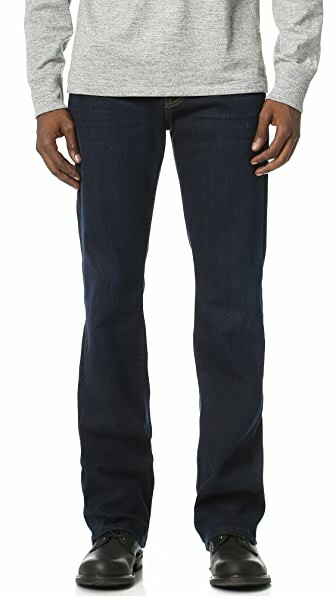 For All Mankind Brett jeans are an updated version of the brand's boot-cut style. Slimmer through the leg with a relaxed opening. Subtle whiskering at the thighs. 5-pocket styling. Button closure and zip fly.